Is it too early to decorate for Christmas? doesn’t mean that your Christmas decor should go up. anxiously awaiting to start decorating check out The Complete Guide to Imperfect Homemaking. There you will find some great ideas on the top twelve things to do now to get ready for Christmas. One of the things that I like to do every year is to find a unique way to display the Christmas Cards that we receive. These days many people send emails, so getting a handwritten card in the mail is something I treasure. Here are a few of my favourite displays from Pinterest. I Love using branches to display my cards. Set some branches in a vase on a table or use larger branches in a pot on the floor. 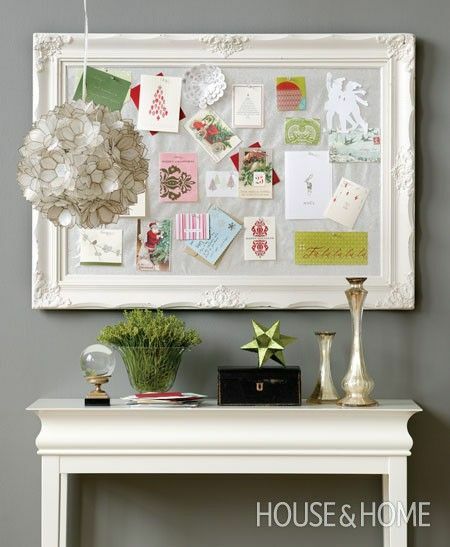 Punch a hole in the cards and use ribbon or the ornament hooks to hang your cards. 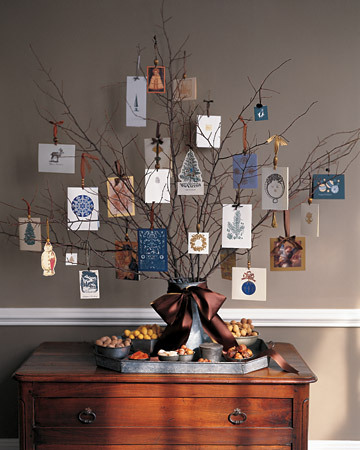 If you don’t have enough cards to fill the branches try using small Christmas ornaments to compliment them. This can also add some glitter and colour to your display. 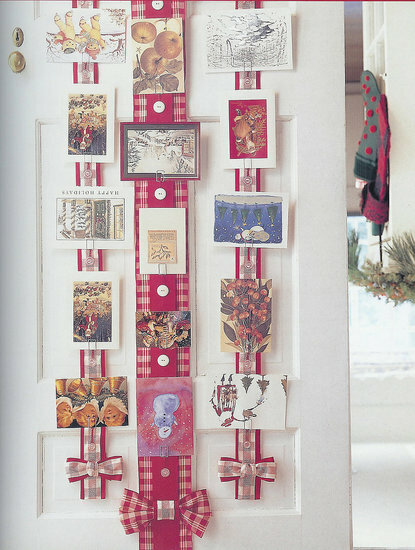 Long strips of ribbon hanging from a door or your windows is also a fabulous idea. You can pin the cards or use a hot glue gun to glue them onto the ribbon. Another great find…display your cards on a framed board. Keep the background neutral so that the cards do not look cluttered.